West Ham face being without summer signing Andriy Yarmolenko for the next six months. The Ukrainian was stretchered off during the 1-0 defeat against Tottenham after he went down with no one around him and it is feared he ruptured his Achilles. The £22million buy from Borussia Dortmund is now expected to have an operation this week, and is set for a lengthy spell on the sidelines. The news comes after West Ham suffered their second defeat in as many games on Saturday. Spurs forward Erik Lamela scored the game’s only goal, although the Hammers had plenty of chances to take something from the game, denied only by the brilliance of Hugo Lloris. 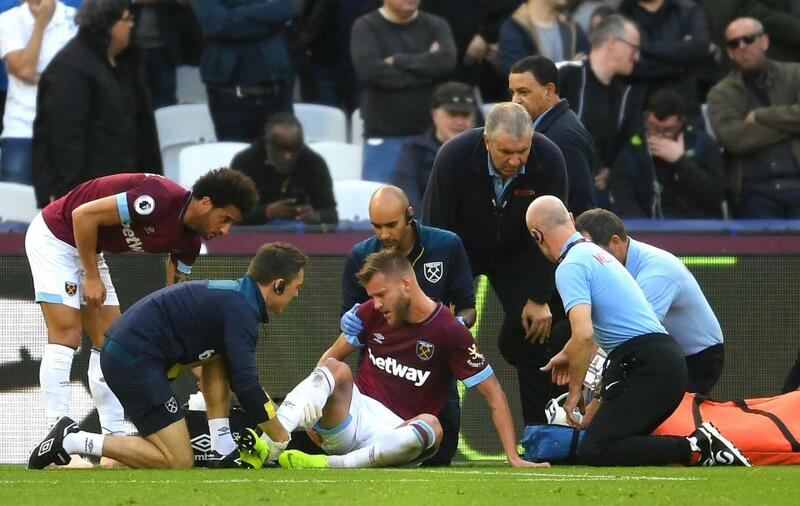 Of the injury to Yarmolenko, Hammers boss Manuel Pellegrini said: “I prefer to wait for tomorrow and wait for the doctors’ diagnosis. “He has fallen between his ankle and foot. We are not sure.